Leeds based trade education equipment supplier Alphabet Education asked us to create their first professionally produced trade catalogue, for a product launch at the Education Show at the NEC. We only had 3 weeks to design, produce and print the catalogue. With such a tight deadline we had to be very careful in the production planning. After the initial brief, we created page concepts for a double page spread and the catalogue cover. After these were approved we created the remaining page designs, from the copy and images supplied by their marketeers. Only a short print run of 200 trade catalogues was required so they were digitally printed. 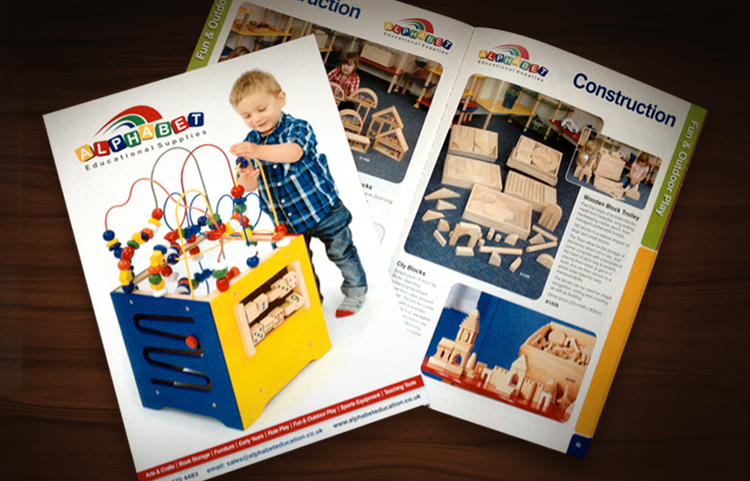 As always, the catalogues were produced on time, on budget, and we well received by Alphabets customers.